Lying in the swoop of a gentle sail. 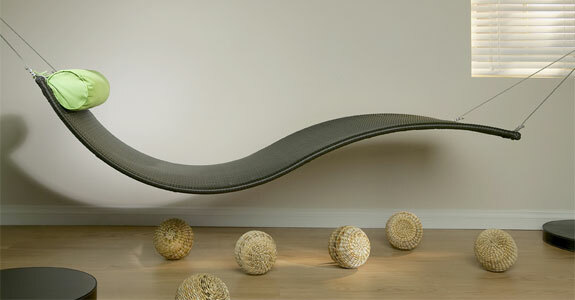 That’s what it feels like to lounge back in this dramatic hammock designed by Erik Nyberg & Gustav Ström for specialist furniture seller Royal Botania.The WAVE stands on a single point, making it almost appear to be floating. But we assure you that the stand of electro-polished stainless steel is more than strong enough to support two adults. And with the semi-transparent canopy blocking 86% of the sun’s rays there’s really no reason not to spend entire afternoons in the WAVE’s embrace. If you’ve always found it a bit awkward getting into a hammock, and never found it particularly comfortable once you managed to, then you’ve never tried out the Urban Balance Wave from Outback Chair. 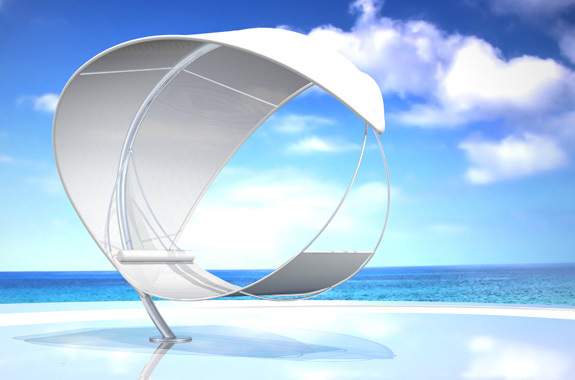 The edges of the Urban Balance are framed to keep the sides of the hammock from folding inwards. On the Urban Balance you’ll have a comfy surface that stays flat across the hammock’s width while adjusting to the slope of your back and legs across it’s length. It is perfect for reading. Though don’t be surprised if you doze off off sentence. Note: The Urban Balance Wave, typically selling for around $1,600, is now under $500 through a generous Amazon.com discount. 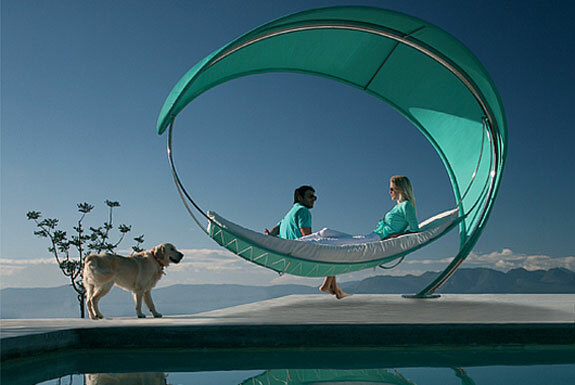 And that makes it, easily, the least expensive of our high design hammock selections. Technically it may not be a hammock. 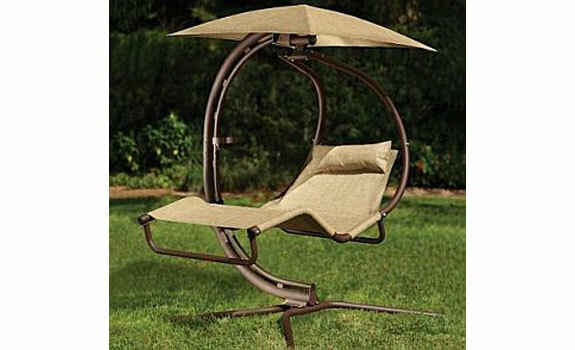 But you won’t care about semantics when you are lying on the Pendulum Lounger. This large, suspended recliner is mighty comfortable. The design was scientifically conceived to keep your body in the specific reclining position that best removes the most stress from your back and neck. (We would have liked to be the tester for the scientific team that worked that out!). 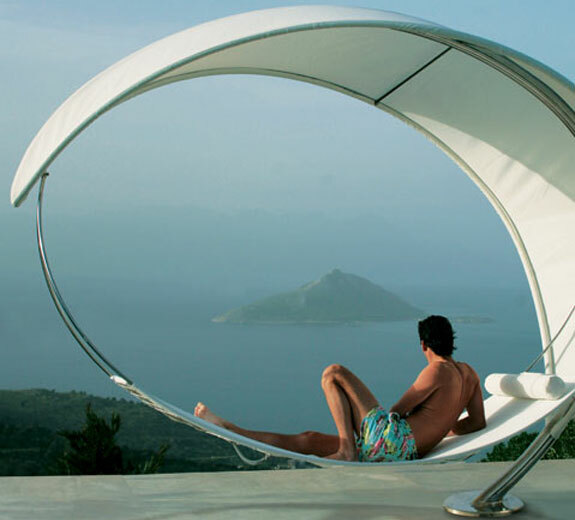 The Pendulum Lounger the strong enough to hold 600 pounds (270kg) and durable enough to be left outdoors year round.